TMSOFT’s Box Fan sound has been streamed over 20 million times making it our most popular sound across all digital music stores. Due to high demand and popularity, we recently launched the boxfansound.com website to make it even easier to play on your favorite music streaming service. The sound is available as a 10 minute track that can be looped all night by repeating the track on Spotify, Apple Music, iTunes, Amazon, Google Play, and more. Even if you don’t pay for a streaming service you can access the sound for free on our YouTube channel. Our Box Fan sound was professionally recorded and looped so you can get to sleep faster and stay asleep longer. The sound induces sleep by producing a wide range of frequencies. The frequencies mask unwanted noises such as faucet drips or noisy neighbors. This results in less interruptions to your sleep. If you or someone you know suffers through restless nights, help end the cycle by visiting boxfansound.com. 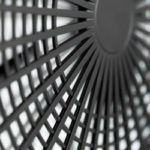 Box Fan sound can also be used to soothe fussy, crying babies and mask tinnitus (ringing of the ears). TMSOFT has 10 years of experience helping people relax, sleep better, and feel better with the acclaimed White Noise App. Find out why the world is listening to and loves our Box Fan Sound. Listen to the Box Fan at our new website at boxfansound.com to fall asleep faster and stay asleep longer. This entry was posted in Sounds, White Noise and tagged box fan, box fan sounds, fan sound, fan sounds, white noise, white noise sounds. Bookmark the permalink.